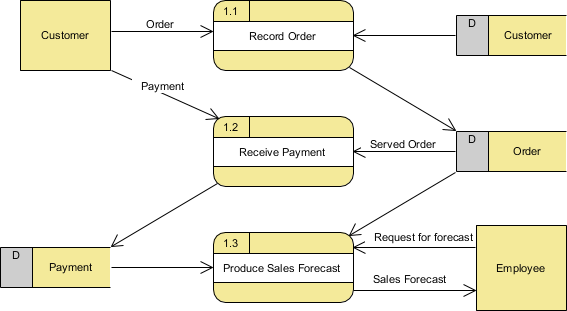 A data flow diagram (DFD) is a graphical representation of the “flow” of data through an information system which can also be used for the visualization of data processing (structured design). It views a system as a group of functions that transform the input into desired output. 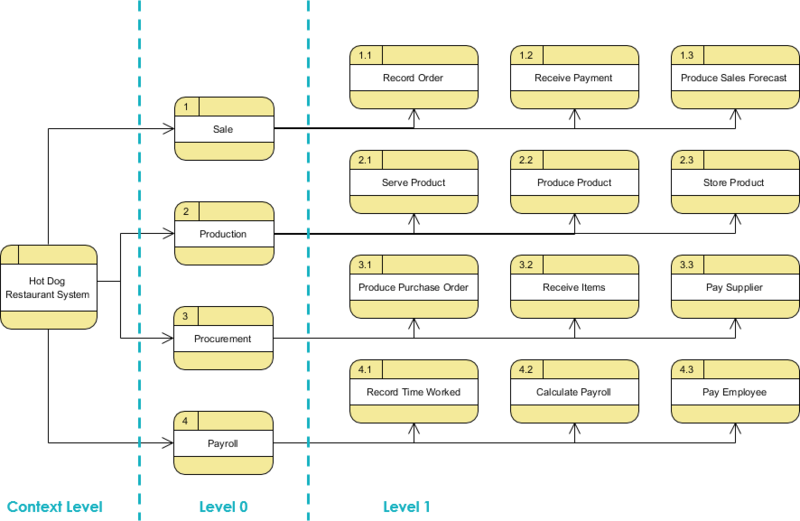 There is a prominent difference between DFD and Flowchart. 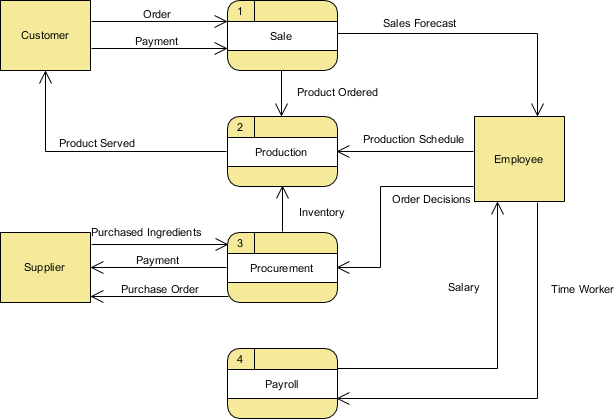 The flowchart depicts flow of control in program modules. DFDs depict flow of data in the system at various levels. DFD does not contain any control or branch elements. The flowchart describes boxes that describe computations, decisions, interactions & loops. 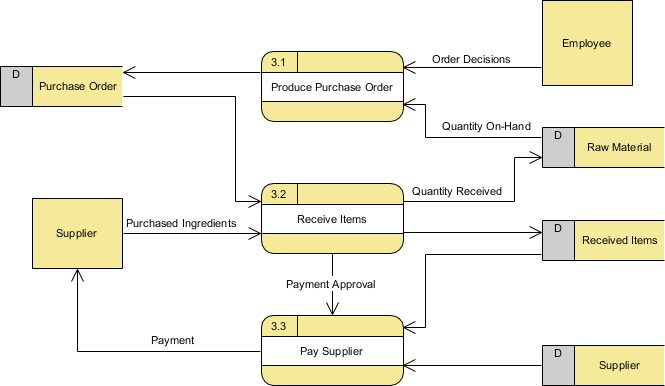 It is important to keep in mind that data flow diagrams are not flowcharts and should not be used for modeling control flow logic. A data-flow is a path for data to move from one part of the information system to another. 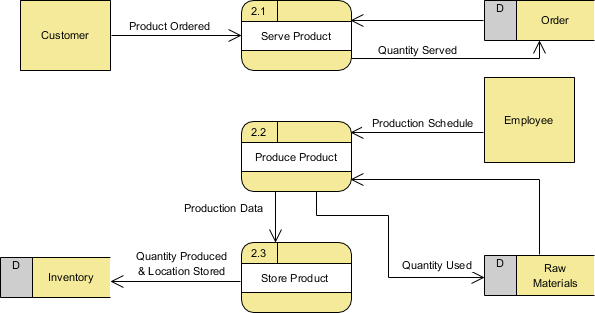 A data-flow may represent a single data element such the Customer ID or it can represent a set of data element (or a data structure). Order_info (OrderId, Item#, OrderDate, CustomerID, etc.). 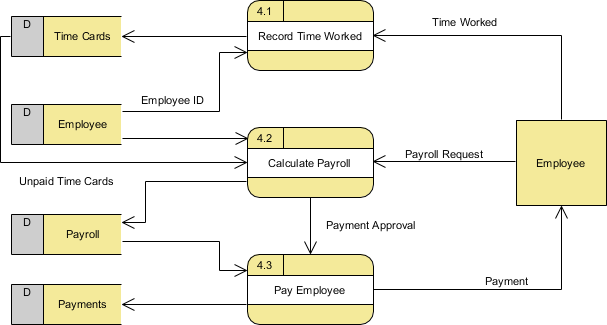 Step 3 – Create a list of activities by thinking through the activities that take place at a hotdog stand between the system and external entities.